Tiddlespup is a husband and wife team whom has trained and mentored under Service Dog Training since 2015. With an amazing network of support and knowledge from fellow Service Dog trainers Tiddlespup has become independent. 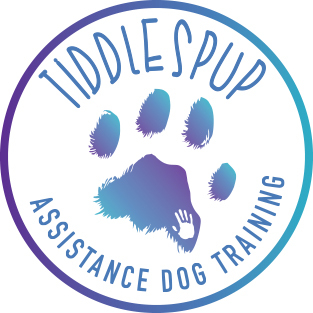 Tiddlespup endeavours to train dog and handler teams to the standards of QLD GHAD, supporting handlers in the training of their assistance dogs. Zeb and Karla call the Fraser Coast home and provide training services to regional Queenslanders, from Toowoomba to Cairns and between.